We’ve been hearing a lot of success stories from India in the last few years, but they’ve mainly been urban stories. From rural areas, we’re hearing more about the price of success: water tables impacted by industrial development; farm land sold to companies who can’t employ the uneducated farm workers who formerly made a precarious living there; pesticide poisoning inadvertent or deliberate. So I was particularly pleased to get a 2008 paper (co-authored with Trishna Satpathy) from my friend Dr Aasha Kapur Mehta, an economist who works in the area of Chronic Poverty. It’s the story of one small village, Ralegan Siddhi in Maharashtra. It’s the story of one man, Anna Hazare (who’s recently been in the news for his battles against corruption). And it’s especially appropriate for Earth Day. This is Ralegan Siddhi before 1975: A village fallen into poverty on the back of a fragile ecosystem and recurrent drought. Most years, it doesn’t grow enough of any crop to feed the villagers. Well-water’s available only at a depth of 65 feet, and the wells go dry in the summer. Men have left, looking for jobs, but uneducated and unsophisticated, they don’t earn enough to send much money home. (The village school only goes to 4th grade and only 10% of the kids attend it anyway.) Farmers borrowed from money-lenders, and now they’ve lost their land when they couldn’t repay their loans. And — it’s gotten worse. One starving resident had a brainwave; he started an illegal-but-very-profitable liquor business. Soon, others copied him. As villagers drink away their troubles, the place is awash in booze, domestic violence against women, and rapidly increasing debt. The leadership of the village, considering the whole thing hopeless, focus on what they can salvage from it – government grant money and local power. As often happens in India in these situations, they’re notoriously corrupt. A major drought in 1972 brought in various charitable organizations to help. The government tried to build a tank to catch rainwater and improve the village’s water situation. The project’s screwed up and fails to harvest water. No one is surprised. And then came Anna Hazare. Bapurao Hazare (Anna, pronounced un-nah means ‘elder brother’ in Marathi and it’s used as a title in respect and affection) came from a Ralegan family, but as a child moved in with his uncle in Mumbai to go to school. Eventually he joined the Indian Army. In 1975, he took his Army pension, and went back to Ralegan Siddhi. Though they didn’t know it at the time, they were in luck. Hazare started with a simple but costly gesture – using his own money to rebuild the decrepit village temple, which had lost all its wooden components to alcohol-fueled theft. Rural India is nothing if not religious, (well, maybe not the liquor vendors) and people chipped in to help. They had no money, but they donated the labor. After that, Anna Hazare’s stock in the village was so high that villagers started coming to him to resolve disputes. He formed a Youth Group of young men from the village, and started campaigning against booze. Pretty soon, the illegal bars were closing down. Some pressure from the Youth Group probably helped. No grazing animals on public land, which had been overgrazed into wasteland. Oh, and local volunteerism: Eventually, they would settle on one work-day in fifteen from every able-bodied adult. This involved everyone in the village, and provided the labor for some important changes. Rain came irregularly to Ralegan Siddhi, and the water didn’t stay. The degraded land sloped, the hard surface absorbed little, and the run-off took away more topsoil. Well-water ran deep, seasonal and unreliable. Government projects failed; no one cared enough to do a good job. Until Anna Hazare. He started getting people to build low dams to harvest rainwater and replenish the water table. They contoured hillsides and planted them with trees and shrubs. In 1981-82, the government selected the village for COWDEP, one of its initiatives to conserve and improve depleted wastelands. This time, with Anna Hazare’s leadership, the villagers supervised the projects. He even managed to get the faulty 1975 tank rebuilt; and this time, with local oversight, it was done right. The water table rose, and they shared to cost of digging wells. Ralegan Siddhi was no longer a wasteland. Ralegan Siddhi had suffered from the Tragedy of the Commons in a bad way. 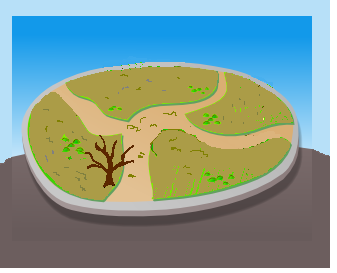 Half-starved animals grazed the wasted land; the grass refused to regenerate. Hazare encouraged the villagers to grow trees, tapping into a governmental forestry program that provided free saplings. The leaves gave green fodder for animals now fenced away from the not-actually-pasture and stall-fed instead. The grass-land revived — and milk yields quadrupled. Faced with widespread poverty, the Indian government tries. It starts thousands of projects designed to improve rural conditions, and many of them fail. The Kukadi Canal, only 3 km from Ralegan Siddhi, had many such examples. Over a 100 lift-irrigation projects had been set up to bring canal-water to the fields; all failed but one – in Ralegan Siddhi. What it had was better organization, so the farmers could unite to pay the necessary capital costs and the electricity bills in an equitable way. 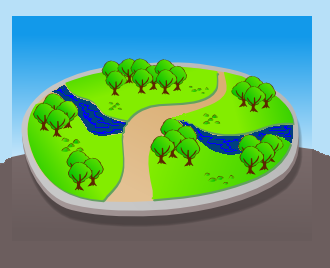 Eventually, the canal supplied 40% of the village’s water needs. Now it could plant not just drought-resistant millet and sorghum, but actually grow vegetables and fruit trees. This is Ralegan Siddhi now: By Indian rural standards, it’s wealthy. Incomes have risen ten-fold. Water’s available in the village; women – the traditional bringers of water – no longer have to walk a mile or two to fetch it. The village’s growing prosperity has attracted services; a bank is moving in, a doctor practices there, and the government has opened a clinic. In 1995, Ralegan got a new school going up to 10th grade, though not before they threatened a hunger strike until the government certified it. In contrast to the pre-1975 situation, all the children go to school regularly; and 95% complete 10th grade, India’s school-leaving grade. Physical education allows many boys to pass Army fitness tests, a passport to regular employment and later a steady pension. The children are involved in the volunteer efforts to plant trees and maintain dams, learning at the same time about the importance of the village’s ecology. But that’s not all the story. 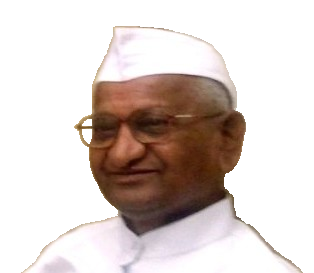 Anna Hazare involved the whole village in these efforts, including people of lower castes. In time, this allowed reforms to break some of the traditional caste barriers. More than just the physical changes, he’s transformed how the village operates, and its power structure. This entry was posted in agribusiness, General, Infrastructure and tagged agribusiness. Bookmark the permalink. Rebels without a cause fault Anna Hazare’s Ralegan Sidhi experiment for espousing “a system of unquestioning obedience, army-like command structure, liberal use of Hindu religious symbols and motifs and a version of puritanical Brahmanism”. In a way, Anna Hazare cannot be labelled a Gandhian if only because he does not seem to possess the character angularities that the Mahatma was famous for !